The smartphone revolution has swept through our society like no other technology. 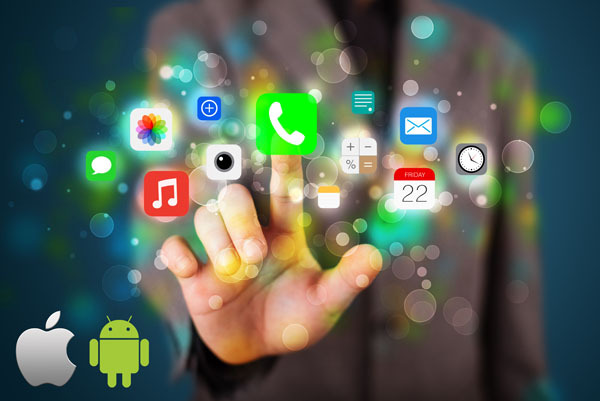 Apart from email and web access, information sharing and user functionality have been greatly facilitated due to the incredibly large assortment of apps developed both by software companies and independent app developers. While software companies have the luxury of app development by teams, independent developers need to have a variety of skills and capabilities to succeed in an intensely competitive field. Some useful tips for independent developers. Essential Skills That iPhone App Developers Need to Succeed? It is natural for developers to closely study the apps that have been successful to get to know what has clicked with the users, and how the app has been structured as well as their shortcomings so that the app being developed may take these into account. Independent developers will also do well to research the unsuccessful apps in order to learn about the mistakes that resulted in the app’s failure. The app market is characterized by intense competition and a very large number of launches especially by iPhone app developers & iOS app development companies in Mumbai. Spending a lot of time researching the project, developing and testing the app may well result in the app becoming redundant because the requirement itself may have changed or someone else has already launched an app to satisfy the need. Instead, it is advisable to focus on developing apps that are simple, meet genuine user requirements, and restrict the development time to a maximum of two months. This will permit you to address diverse user requirements, and create a varied app portfolio that has a better chance of success than a single app. While the genesis of app development is an unfulfilled need of the smartphone user, once that is established, success really depends on how clean and slick the app interface is. According to industry experts, the most crucial aspects of a successful app are a good name for the app, a clean design, and an icon that is smart. If there’s anything that appeals the most to users, it is the design. There is no end to user requirements and you can get totally puzzled regarding what your app should address. Rather than doing something at random, try and focus on an idea about which you are really passionate about and possess domain knowledge. If you are able to latch on to an idea that you are really convinced about, you can be sure that the result will be impressive, and your users will accept it enthusiastically. Because it can be very easy to fall in love with something that you yourself have thought about, be prepared to test the concept out with the sternest critics that you can identify to get an honest opinion. Also, quickly research the market regarding the potential and scan the competitive environment to see how the requirement is being met currently. Above all, keep it simple and focus on the marketing. Author bio: Mandy Bular is a software sector analyst who monitors developments and trends globally. She has reported extensively on the rapid growth of iOS app development companies in Mumbai.